Keyboard whiz Robby Robinson is a music director, composer, arranger, & producer living in the LA area. His diverse resume includes working with timeless artists such as Tom Jones & Liza Minnelli, pop icons The Beach Boys & The Turtles, R&B superstars The Commodores & Four Tops, as well as blues legend Albert King & jazz great Eddie Harris. And that’s just the tip of the iceberg! 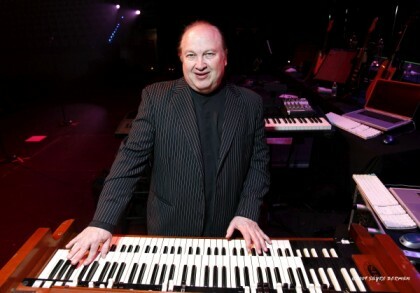 Robby is best known however as music director/keyboardist & Hammond organist for the iconic Jersey Boy, Frankie Valli & the Four Seasons since 1978.